Are you in the market for an inexpensive, easy to operate blender, but not sure which one is best? After reading this review you’ll know if the Oster Beehive blender is the right one for you. There may be other reasons you’re researching blenders, but these are the main drawbacks I hear from people. Here’s the good news, none of the problems above apply to the Oster Beehive blender. You can create creamy, delicious smoothies and experience all of their wonderful health benefits, with an easy to operate blender. The number one problem people run into is the inability of a blender to blend things like ice, green leafy veggies, frozen fruit, nuts, protein powders, avocados, etc. With 600 watts of power and a stainless steel “ice crusher” blade, this will no longer be a problem. The Oster blender will liquify everything you wish to blend. Not only is it great for smoothies, but also dips, sauces, and dressings. I got into smoothies 5 years ago and have since used my Oster blender hundreds, if not thousands of times. Not once was it unable to blend something. As a matter of fact, I recently upgraded to a Blendtec blender and have found it often doesn’t blend certain things quite as thoroughly as my Oster. I’m convinced the Oster was created first and foremost to liquify anything that comes into contact with its blades. Think rich, creamy smoothies with no chunks to choke down. A blender that’s difficult to operate and clean is a blender that isn’t going to be used very often. The Oster Beehive is a breeze to operate, with the classic toggle switch for pulsing and blending. The blender is so powerful it doesn’t take long (often 20 seconds or less) to thoroughly blend a smoothie or other things. You just blended the perfect smoothie, but now comes the dreaded cleanup. Fortunately, the Oster is very easy to clean. Simply rinse the glass container under your faucet with warm water or add a cup of water and soap and pulse a few times. Once in a while, depending on how often you use your blender, you’ll want to do a more thorough cleansing by removing the blade and placing the glass jar in your dishwasher or wash by hand. The base can be wiped off with a sponge or paper towel whenever it gets dirty. Bottom line, using an Oster means effortless and convenient smoothie making. The blender itself (base and container) are compact and don’t take up a lot of room on your counter top. The design is rather sleek and far from an eye-sore. The blender jar or container that you add your ingredients into is made out of glass; so you won’t have to worry about plastics or others toxins leaching into your blended creations. The jar itself is 5 cups, plenty of room, with measurement markers so you know exactly how much you’re adding in. The Oster has a 1-year warranty; so you don’t have to worry about it breaking after a couple months of usage. My recommendation is to purchase the blender and test it out for a of couple weeks. If it doesn’t meet all your blending needs, simply return and try another blender. The Oster Beehive blender has a whopping 455 customer reviews on Amazon with an average of 4 stars. 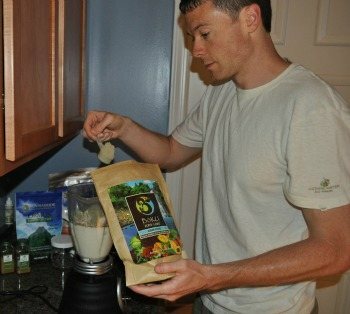 I’m very happy with this product and have already recommended it to a friend who is thinking of getting a blender. 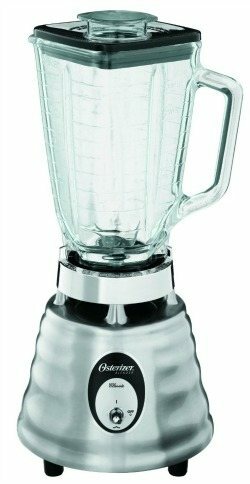 This is best blender I ever had. Smooth like a Blender should be. There are two main complaints. One, the blender is too loud. I find this to be common among all blenders. Yes, the Oster is a bit louder than others (Blendtec), but not the loudest out there. It’s just something that comes with the territory when using a blender. Two, the narrow blender jar results in ingredients not making their way down to the blades. I experience this from time to time, but simply turn the blender off and push the ingredients down with a spoon, not a big deal. Where Can You Buy the Oster Beehive Blender? You can buy the Oster Beehive blender directly from Amazon. 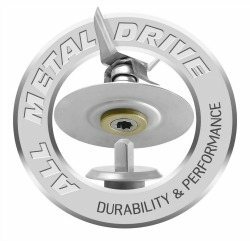 At the time of writing this review Amazon has the best price and often times you can get free shipping. Where Can You Read More About the Oster Beehive Blender? The best place for reviews from people who have actually used an Oster Beehive blender is Amazon. Click here to read more. P.S. Feel free to drop me a line if you have questions or to share your experience with the Oster Beehive Blender. For nutritious and delicious smoothie recipes to make with your Oster, browse the over 100 recipes right here on my site.